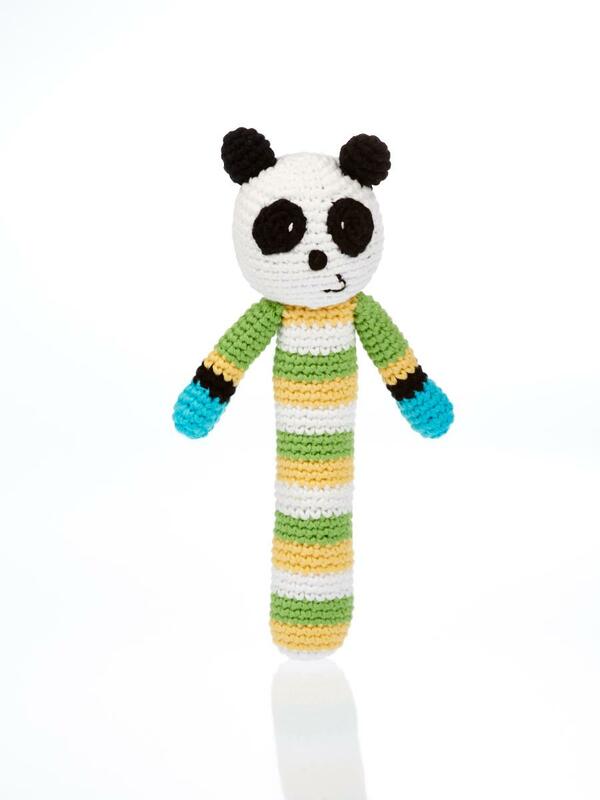 This delightful panda stick rattle makes a fabulous toy for a young baby or toddler as its handle is easy to grasp onto. With is stripe body and sweet face, it makes an ideal gift for a baby. This baby toy is crochet from cotton and the stick is the ideal size for a baby to grasp onto and wave around. Fair trade, handmade, machine washable, suitable from birth.